How to convert DVD to Final Cut Pro supported format DV? How to transfer the ripped DVD to Final Cut Pro for final editing? 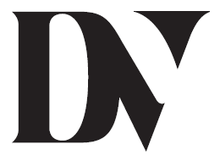 DV (Digital Video) is a video standard launched in 1996. It was created by a consortium of companies and given the official name IEC 61834. The DV standard has spawned a few variations, including DVCAM (Sony) and DVCPRO (Panasonic). Consumers know DV in it’s smaller format MiniDV. The high-definition version is HDV, which uses the same style tapes but uses MPEG-2 for compression. DV uses intraframe compression; that is, compression within each frame rather than between consecutive frames. This makes it an ideal format for editing. And DV is also one of the formats that Final Cut Pro supports. Final Cut Pro is a non-linear video editing software which provides non-destructive editing of any QuickTime-compatible video format including Apple Animation codec, Apple Intermediate codec, Apple ProRes(all versions), AVC-intra, AVCHD (including AVCCAM, AVCHD Lite, and NXCAM), DV (including DVCAM, DVCPRO, and DVCPRO50), DVCPRO HD, H.264, HDV, XAVC, XDCAM HD/EX/HD422 etc. Final Cut Pro provides native support for DV video by using your computer’s FireWire port for the for capture and output of video. Final Cut Pro also provides native support for DV CAM, DVCPro, DVCPRO 50 and DVCPro HD. When working with these formats, you need no additional equipment to edit the DV material, and can capture, edit and output the material without any loss in quality at all. 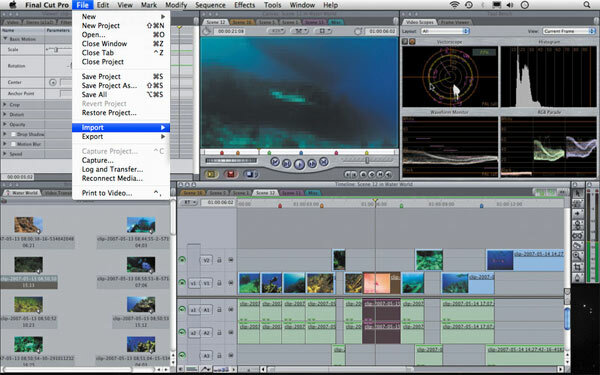 The most powerful feature of Final Cut Pro is that it comes as part of the Final Cut Studio 2 software suite. This means that advanced video editing tools that were previously sold as expensive standalone units are now included as one highly compatible package. Another cool new feature is the MultiCam editor, a tool designed specifically for projects where multiple cameras were used to shoot the same scene. With MultiCam editing, you can choose up to 12 different shots of the same action and view them all in a Brady Bunch-style segmented window. Final Cut Pro also includes a powerful real-time effects engine. You can choose from 150 built-in effects and filters for adding big-budget effects to even the smallest budget production. And because Final Cut Pro is packaged with Motion 3, you can easily assemble flashy graphics packages without leaving the native Final Cut environment. Simply highlight a clip, right-click and Send to Motion Project. When you’re done adding filters and graphics, you can bring the finished clip right back into the Timeline. Final Cut Pro’s programming architecture is also surprisingly open for a famously closed company like Apple. Apple has chosen to base Final Cut’s code on XML, making it easy for third-party developers to create plug-ins and add-ons for expanding the Final Cut experience. Final Cut’s internal effects engine, for example, runs on a codec called FxPlug, which Apple has made available to third-party effects developers. No doubt that Final Cut Pro is a powerful and professional video editing software. However, if you want to import DVD to Final Cut Pro for advanced video editing, you will have some video format incompatibility issues with Final Cut Pro, cause DVD is not supported by Final Cut Pro. To import DVD to FCP successfully, we need to convert DVD to Final Cut Pro workable video format like DV. 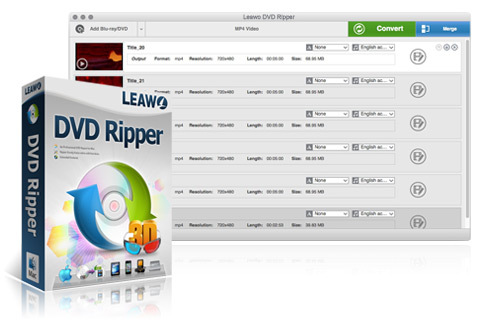 Leawo DVD Ripper for Mac is just the right DVD to FCP Converter which can easy convert DVD to DV for import DVD to FCP. Leawo DVD Ripper for Mac is a great program that you can use to convert DVD movies to popular video file formats. Unlike many other DVD ripping and converting programs, Leawo DVD Ripper Software for Mac is also capable of extracting and converting audio. Leawo DVD Ripper Software for Mac can rip DVD movie for you with just a few clicks of your mouse. 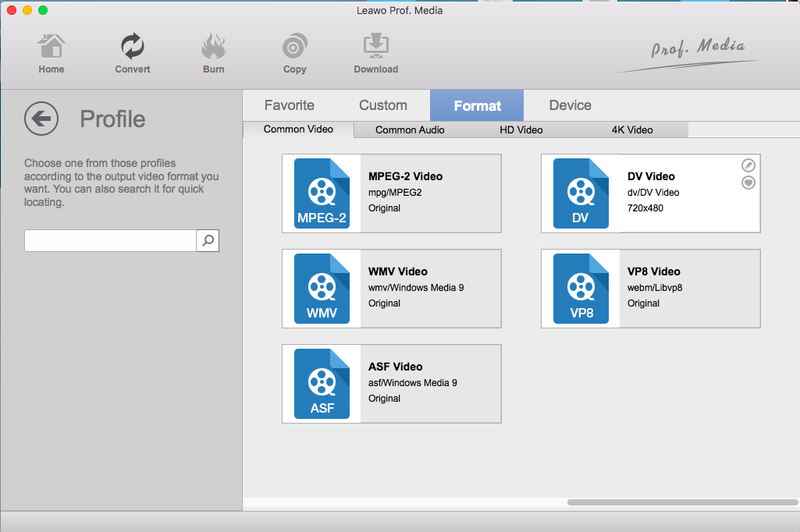 Once your DVD movies has been ripped, you will be able to convert it to one of the over 100 video file formats that are supported by Leawo DVD Ripper Software for Mac. In addition to being an easy to use DVD ripper and a video editing program, Leawo DVD Ripper Software for Mac also serves as a DVD player. There is a fully featured built-in DVD player in Leawo DVD Ripper Software for Mac that allows you to play any DVD movie before you rip and convert it. Leawo DVD Ripper for Mac even allows you to take still image screenshots of the DVD that you are viewing. Simply pause your movie and use the snapshot function in Leawo DVD Ripper Software for Mac to take a still image shot of the scene that you have paused on. You can then open your still image in Leawo DVD Ripper Software for Mac and save it in a popular image file format, such as BMP or JPEG. The following will present a step by step guide on how to convert DVD to DV for import DVD to Final Cut Pro. Step 1. 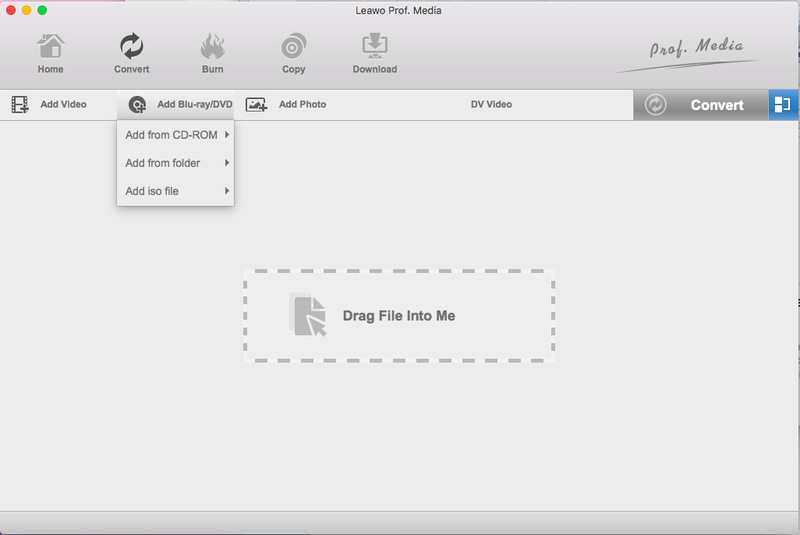 Download Leawo DVD Ripper for Mac and install it. After installation, launch the DVD ripping program to convert DVD to FCP before you import DVD to Final Cut Pro. Drag-and-drop your DVD files for input or simple click “load DVD”icon to import DVD for DVD to Final Cut Pro converter after inserting DVD disc to DVD drive. Some user-friendly settings could be done here, including reordering DVD chapters or titles, selecting subtitle and audio, previewing DVD videos with built-in player, screenshot during previewing, etc. Since you have import DVD to the DVD to Final Cut Pro converter, now you need to choose the output profile. By clicking the default iPod touch icon in the end of each DVD title, you can set profile for each title or chapter. 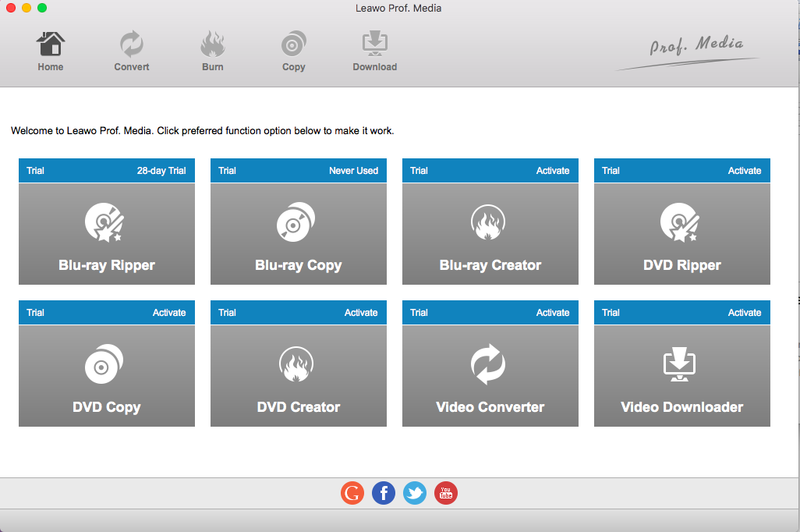 Various file formats are provided by this DVD converter, choose the format DV, a Final Cut Pro friendly file format. You can also apply your first choice to all by ticking “Apply to all”. After you have set the output profile for DVD to Final Cut Pro editing, you can now convert DVD to Final Cut Pro file formats by clicking convert icon on the bottom right. Open Final Cut Pro, then choose Import from File menu, and select files or file folder to navigate to the output files. Click “Choose” to import DV to Final Cut Pro. After you’ve imported source files, drag the clip to the Timeline section. Cut clips to reduce video duration or remove unwanted areas: press B to choose the Blade tool from the Tools menu in the toolbar, move the skimmer to the frame in the clip where you wanna cut and click. Use the buttons from the Viewer. You can create titles and credits within Final Cut Pro with title effects. Transitions can be fade-in, fade-out, or crossfade. Note that you can also import and rip DVD to Final Cut Pro for further editing. Go to File > Share, choose a destination. You have lots of options, from MP4 to YouTube. Note that you can manually add destinations in the Destinations list of the Final Cut Pro Preferences window.